306 Old Satillo Road, Elvis’ birthplace, is now 306 Elvis Presley Drive. Kelly Street, a rented, small apartment. The Presley family moved to the Mississippi Gulf Coast, May 15 to June 20, Returning to Tupelo. Berry Street -“Doll” Smith lived here with the Presleys and then Minnie Mae Presley moved in. 510 1/2 Maple Street, South Tupelo -the Presleys lived with Glady’s cousin Frank Richards and his wife, Leona. Elvis worked at the Upholsterers Specialties Company. 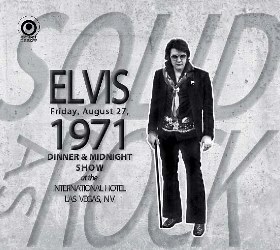 Elvis, Scotty and Bill became a regular attraction with solid weekend bookings for the next three months. 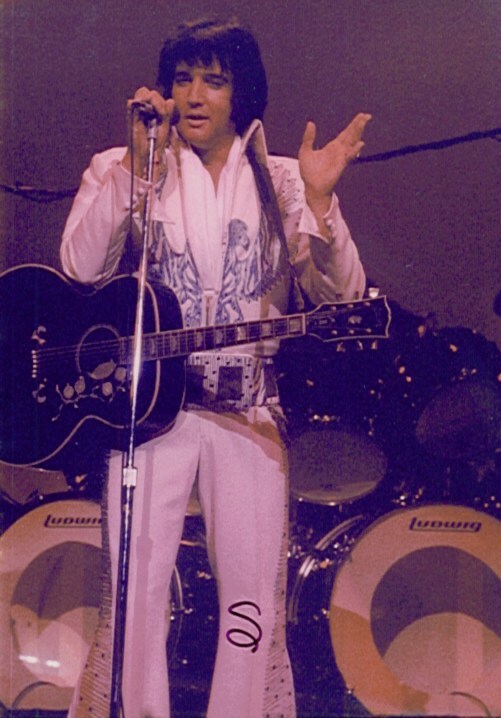 Elvis performed at the Louisiana Hayride, Municipal Auditorium, Shreveport. 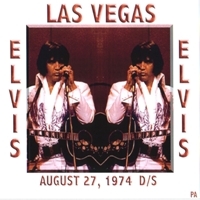 Elvis left by train for the West Coast at 11.00 p.m.
A Rock ‘n’ Roll oddity took place at the top of the UK chart when “Please Don’t Tease” by Cliff Richard And The Shadows was replaced by “Apache”, an instrumental credited to just The Shadows. Interestingly, Cliff Richard actually appears on the recording, playing a Chinese drum at the beginning and end of the track. The series “Louisiana Hayride,” known as “The Cradle of the Stars,” presented its last performance on radio station KWKH in Shreveport, Louisiana after almost 12½ years on the air. On the last day of a five-day break from their North American tour, The Beatles attended a recording session for The Byrds. Elvis was visited by the Beatles from 10.00 p.m. at his Perugia Way home until the early hours of the next day. The Beatles arrived, they stared at Elvis, then, they all jammed on Chuck Berry. Col Parker and Brian Epstein also had a meeting around the pool table. Despite the best planning of Parker, a fan at the gate got photos. The next night, some of the Memphis Mafia when to hang out with The Beatles. The Beach Boys ‘God Only Knows’ peaked at No.2 on the UK singles chart. The song broke new ground in many ways. It was one of the first commercial songs to use the word ‘God’ in its title and Brian Wilson used many unorthodox instruments, including the French horns that are heard in the song’s famous introduction. The Beatles’ manager Brian Epstein was found dead of an apparent drug overdose at his home in Belgravia, London, just a few weeks shy of his 33rd birthday. A coroner’s inquest concluded that Epstein died from an overdose of the sleeping pill Carbitrol. The Fab Four were in Bangor, North Wales at the time, attending a conference by the Maharishi Mahesh Yogi. The death is ruled accidental and the Maharishi tells the Beatles that Epstein’s death, being in the realm of the physical world, is “not important.” The group would later renounce their association with the Maharishi and Epstein is remembered as being the man who took The Beatles from being a rough looking club act to the most successful band in the world. He also managed several other artists including Gerry & The Pacemakers, Billy J. Kramer and the Dakotas, Cilla Black and The Remo Four. The first contract between The Beatles and Epstein was auctioned in London in 2008, and was sold for £240,000. Elvis continued to spend time at the Circle G Ranch but instead of horseback riding he had found a new hobby: target shooting. 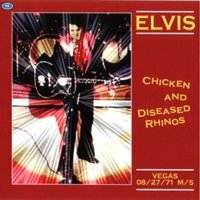 Elvis threw a buffet dinner for cast and crew of Charro! at 6.00 p.m. at the Goldwyn Studios. 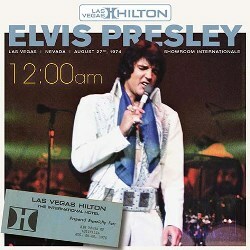 Then he went to Las Vegas for a brief stay at the Aladdin Hotel. 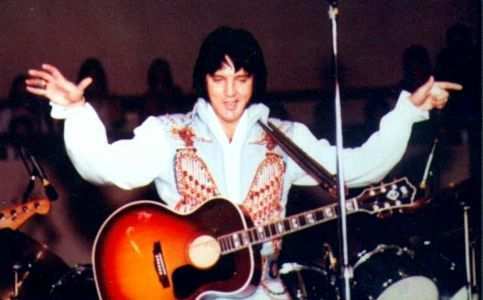 After the August 24th midnight show Elvis had painted the decorative angels on the showroom wall black, and about this he told the audience in the following shows, pointing out his handiwork. 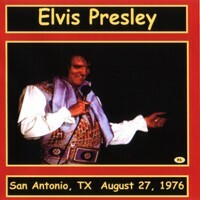 Elvis performed on tour at the Convention Center Arena, San Antonio, Teas, which is the beginning of his sixth tour. S.A. 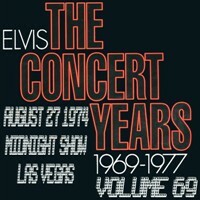 Fans Scream Welcome to Elvis – Crowd Cheers as Elvis Sings by Robert C. Stewart, Jr. 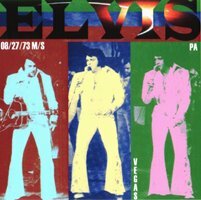 Ten Elvis Presley albums re-charted. Led Zeppelin lead vocalist Robert Plant’s solo L.P. “Pictures at Eleven”, is awarded a Gold record. It was his first recorded work since the group disbanded in the wake of the death of drummer John Bonham. Four days before its official release date, Michael Jackson’s new album, “Bad” is previewed by an L.A. radio station. Advance orders have already topped 2.2 million. George Michael had his fourth consecutive number one single from the album “Faith”, when “Monkey” climbed to the top of the Billboard Pop chart. It was his eighth US chart topper of the 1980s, a record bested only by Michael Jackson. John Lennon’s handwritten lyrics to The Beatles song ‘A Day In The Life’ from Sgt. Pepper sold in an auction at Sotheby’s London for $100,000 (£56,600). The lyrics were put up for sale again in March 2006 by Bonhams in New York. Sealed bids were opened on 7 March 2006 and offers started at about $2 million. The lyric sheet was auctioned again by Sotheby’s in June 2010 when it was purchased by an anonymous American buyer who paid $1,200,000 (£810,000). Boyz II Men started a 14 week run at No.1 on the US singles chart with ‘I’ll Make Love To You’, a No.5 hit in the UK. The record- breaking 14 week stay came to an end when they knocked themselves from the top with ‘On Bended Knee’. The Rolling Stones played at the Don Valley Stadium in Sheffield, England on their A Bigger Bang world tour. Tom Jones‘ representatives denied reports that the singer suffered heart problems prior to a show in Monte Carlo, Monaco a few days before, insisting he was simply dehydrated. Just as his new album, “The Singer” was being released, Art Garfunkel announced that he had regained his voice after being sidelined since 2010 with vocal paresis. The condition had caused the cancelation of a planned Simon And Garfunkel North American tour and although no further reunion talks were scheduled, Garfunkel said he was still open to the idea. Madonna was named the world’s top-earning celebrity over the past year. The 55-year-old made an estimated $125m (£80m) thanks to her MDNA tour, clothing and fragrance lines, according to Forbes. The magazine said it was the most money Madonna had made in a single year since it began tracking earnings in 1999. With only 15.66 million digital songs sold in the US during the previous week, the music industry saw its lowest weekly sales since December 2007 when just 15.64 million units were sold. Live music was another matter, as ticket sales for concerts across America were up 5.6% in the first eight months of the year. 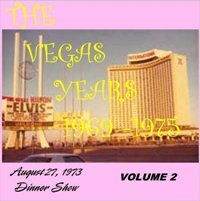 This entry was posted in 1950s, 1960s, 1970s, Concert, Costumes and Stage Wear, Elvis Presley, Presley Picture and tagged Brian Epstein, Charro, Chuck Berry, Circle G Ranch, Dinner and Midnight Vegas Shows, Double Trouble, Elvis meets The Beatles, Flaming Star, Follow that Dream, George Harrison, John Lennon, Kang Rhee, Louisiana Hayride last broadcast, Love Me Tender, Miley Cyrus, Paradise Hawaiian Style, Paul McCartney, Red West, Ringo Star, The Beatles, Viva Las Vegas. Bookmark the permalink.